HP ENVY TouchSmart 15t-100j is a great day-to-day operation computer. It has a slick design following Apple trends with its aluminum finish. HP is doing magnificent job lately styling their new laptop models. Its weight and 4 hours battery life make it not as portable as some competitors like the MacBook, Asus V551LB or Sony Vaio Flip 15. 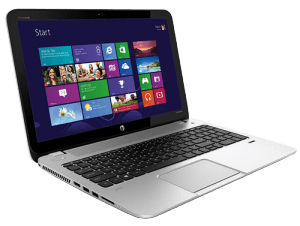 Considered these parameters HP ENVY 15t is known as a desktop replacement. The laptop I got to test was equipped with 16GB RAM instead of standard 8GB. It made it feel a bit faster. Powerful Quad Core 2.4GHz Core i7 processor combined with 2GB NVIDIA GEFORCE graphics guarantee great performance for home and office use. Looking for a laptop suited better for 3D demands I would recommend the ASUS N550JV. It will get you more fun from playing 3D games. The HP ENVY 15 does excellent job for multimedia, graphics, photo and video editing tasks. It aims to be a powerful entertainment notebook. Despite that desire the beats audio system is not loud enough and the laptop requires external speakers for playing music and movies. Touchscreen makes the HP the optimal laptop for Windows 8 and Windows 10 operating systems. The 15-inch 1080p HD screen displays bright and beautiful image. Also glass finish makes it look clean and high quality. Touchscreen functions flawlessly and combined with the multi finger touchpad enables users to interact with the computer in many ways. Multi finger touchpad design known earlier from MacBook now became standard in other respectable laptop brands. The keyboard integrated with palmrest looks good. Yet it’s not meant for processing a lot of content. It’s not comfortable for longer typing as you will find yourself having to push some keys harder than normal. Mine was also lacking backlight which is always a nice addition and would be expected in this class of a computer. It is available as an extra option. As much as I enjoy this laptop the keyboard is making me not to like it. Those who like fingerprint reader will appreciate having it for easy and fast registry. It simply works as expected. The Wi-Fi works good as well. All the ports are where they are expected to be. Over all the HP is a solid computer. It’s about half the price of 15-inch MacBook Pro which makes it an attractive alternative for those who can’t afford the Apple laptop. They will get comparable performance for less. Costing about $1000 the HP ENVY 15t can’t be called cheap but it’s worth every penny. On the final note I want to remind that the HP ENVY 15 is an attractive laptop with a touchscreen that will satisfy most users. It’s not a gaming laptop so if that’s what you’re after you will need to look some more. Check out our reviews on different laptops if you are looking for the perfect computer for yourself. You can also sell laptops directly on our website. 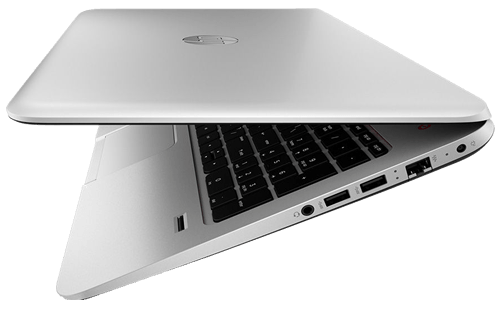 The 2016 HP Spectre "The World's Thinnest Laptop"